Unfortunately, for many, a hot tub is enjoyed for a while before succumbing to neglect. Perhaps you’ve got your proper fill of hot-tubbing, and feeling like a steamy raisin is no longer on your daily priority list. Maybe you enjoy the hot tub, but it’s just too much work to keep it maintained. Maybe you’ve found that enjoying the hot tub with company is better than sitting in it alone every night. 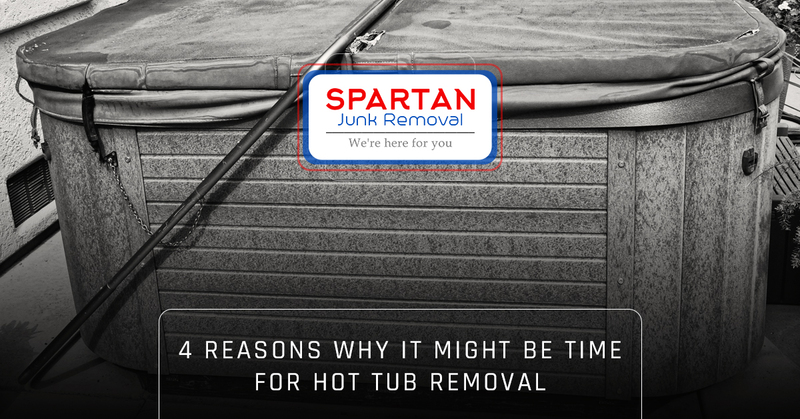 Whatever your reason is for neglecting your once-beloved hot tub, you might be considering hot tub removal. Here are some signs that it’s finally time to go through with it. If you go outside, pull off that giant hot tub cover, and find out that you’ve discovered a new uncharted jungle, it might be time to let go of your hot tub. Water is a breeding ground for life, and if your hot tub is infested with all manner of flora and fauna, you’ve probably neglected it for just a little bit too long. There are all kinds of organisms that can grow and thrive inside your hot tub if you haven’t taken precautions to prevent such things. Mold is all but guaranteed, but it’s also possible to find spiders and other creepy-crawlies making their home in your spa system. Naturally, if you find anything bigger than that, such as a conifer tree sprouting out of the bottom or a hibernating bear, there’s no room for doubt. While we are one hundred percent untrained in handling bears, our team at Spartan Junk Removal could at least take care of the hot tub for you. Another compelling reason to ditch the old hot tub is if it has lost its defining feature — that is, being hot. Hot tubs are complicated beasts, and if they’re not maintained, they could malfunction at any moment. In fact, this can happen even if you are taking perfect care of it. Hot tubs are finicky things. Anyway, at this junction, you have two options — get rid of it, or pursue repairs. Your decision, of course, depends entirely on your usage. If you’re an avid user of your hot tub and you can’t imagine going a single night without its warm embrace, the easy solution is to fork out the money for repairs. But if you give it some long hard thought, and decide that your money would be better spent literally anywhere else, then maybe it’s time to give us a call for hot tub removal. It’ll be more affordable than those repairs, and with the money you’ve saved, maybe you can transition from the age of the hot tub to the age of the 4k HDTV. Let’s be real here — hot tubs aren’t exactly small, which is one of the reasons why hot tub removal is specifically one of our services. And, due to its tremendous size, you might be making compromises with the space you have in your backyard. Your tub may be in your yard or on your porch or deck, but wherever it is, it’s probably taking up a lot of room. Maybe you’ve decided that said space would be better served being taken up by something else. Maybe hot tubs are out and firepits are in. In any case, if you’ve recently had doubts about the usefulness of your hot tub, consider what alternative options you could have for its porch real estate. Is there something you can’t get your mind off of that you simply can’t resist? Are you kept up at night with loathsome feelings towards that old spa machine? It’s probably time to just get rid of it. You can set up your new gazebo, wedding pavilion, horseshoe stakes, or whatever else you fancy in its place. There are many things that die of old age. People, animals, and, of course, hot tubs. Has it been years and years since you last used your hot tub? To help you identify if it’s time to get rid of the old junker, we’ve prepared a list that can help you decide. Okay, we could go on, but you get the point. Bottom line — if your hot tub is facing serious neglect, it’s probably best to get rid of it. This doesn’t have to be an arduous process — our junk removal team can take care of it, no problem. You probably know whether or not it’s time to get rid of your hot tub. But the question for many is, “How?” Hot tubs are enormous, difficult to disassemble, and even more difficult to move. Fortunately, that’s exactly why companies like Spartan Junk Removal exist. Junk removal is our specialty, and transporting gargantuan hot tubs into their final resting places is just another day on the job for us. In addition to hot tub removal, we offer extensive junk and clutter removal services, in which we will work closely with you to dispose of all the things you don’t need anymore — and help with the reorganization in the process! 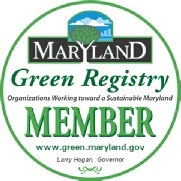 We have served countless clients in and around the Laurel and Baltimore area, and with our new location in Towson, our services are widely available to almost anyone in the state of Maryland. Curious about how our services could help you? Contact us today for a free consultation!